In the recent episodes of ‘How to Get Away with Murder’ we have seen some really unprecedented developments. The latest spoilers for How to get away with Murder Season 4 Episode 11 are finally in the house. Check out what is going to happen next in the post below. As an unexpected turn in the show Bonnie’s (Liza Weil) life comes into some serious question. Liza may die anytime in the upcoming episode. We have seen in the last episode of “How to Get Away with Murder.”where the star cast, Bonnie and Annalise (Viola Davis) shared a private one-to-one conversation following Lawyer conviction by Frank (Charlie Weber) in charges to meet her former right hand woman. He successfully manipulated Annalise that Bonnie is only option to her for spying on Laurel’s (Karla Souza) father, Jorge (José Zúñiga), via D.A. Denver’s office (Benito Martinez). After this, Bonnie finally gets on an consent to do it after following explanation by her mentor to move next stage. During the last moments of the previous episode we have seen something unexpected, Denver finally contacted Jorge. He explained the story by speaking only word which was Bonnie’s name. And now, Jorge is aware of Bonnie’s secret mission and could easily stop her. And trust us, he is not going to be easy on her. She could be the very next name on Jorge’s list. The show will also show proceedings of Laurel’s case against her father. 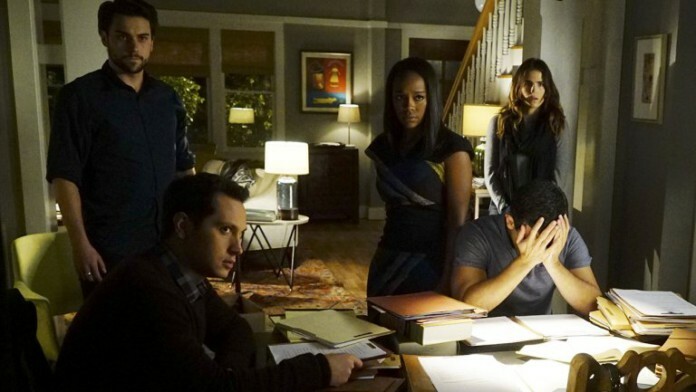 The synopsis for the latest episode of ‘How to Get Away With Murder’ Season 4 Episode 11 titled “He’s a Bad Father” reveals that someone from her past life is coming in the town to rescue her. The promotional video showed her Laurel Mom uniting with her after a while. So far, a very little information was available about her biological mother. Jorge divorced her and married Elena (Brynn Thayer – Laurel’s Mom) when Laurel was mere a child. Laurel’s biological mother could be seen getting interrogated in the house of court. Jorge and Laurel keeps on arguing about custody of the baby. Annalise is trying to make the court understand the fact that Laurel’s father kidnapped the child when her client was dying from blood loss. Jorge’s lawyer keeps on playing dirty by trying prove Laurel as a whore. The latest episode of “How to Get Away with Murder” season 4 will air on Thursdays at 10 p.m. EST on ABC.